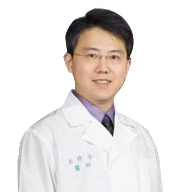 Doctor Shiou-Han Wang(王修含), MD MSEE is the superintendent of Skin168 Institute of Dermatology(王修含皮膚科診所) and on the adjunct staff of National Taiwan University Hospital(台大醫院) and Doctors' Doctor Clinic(醫者診所) in Taipei. He is also the directors of the Laser and Photonics Medicine Society of the Republic of China and the Chinese Society of Cosmetic Surgery and Anti-aging Medicine, which is the leading aesthetic medical society with most members of doctors in Taiwan. Besides, he is the executive director of the China Cross-Strait Association of Plastics and Aesthetics. He graduated with Academic Excellence Award from the Department of Mechanical Engineering and received his MD degree from the College of Medicine of National Taiwan University. He also received his MSEE from National Taiwan University Graduate Institute of Biomedical Electronics and Bioinformatics. Dr. Shiou-Han Wang's area of research interest is biomedical engineering (laser, radiofrequency and ultrasound) and aesthetic dermatology. He has served as a specialist in Dermatological Surgery & Laser, Acne & Scar Treatment, and High-Frequency Ultrasound in Department of Dermatology, NTUH, Taipei, Taiwan. Dr. Wang was awarded the Best Annual Paper Award(年度最佳論文獎) from Taiwanese Society of Biomedical Engineering(中華民國生物醫學工程學會) and Engineering Paper Award (工程論文獎) from the Chinese Institute of Engineers(中國工程師學會). He serves a reviewer for academic journals, such as the Archives of Dermatology, International Journal of Dermatology and Dermatologica Sinica, and was awarded the Certificate of Outstanding Contribution In Reviewing by Elsevier. He delivered professional oral presentations and had been invited to speak at national and international aesthetic and dermatologic conferences, including Taiwan Dermatology Aesthetic Conference (TDAC), the International Society for Optical Engineering (SPIE), International Master Course on Aging Skin (IMCAS), Association of Korean Dermatologists (AKD), Asian Dermatological Congress (ADC), Global Chinese Dermatologist Summit (GCDS), Minimal invasive plastic and aesthetic and dermatology (MIPASD), and , International Conference on Behçet's Disease (ICBD) etc.